9/17/14 Heroic Iron Juggernaut dismantled! Up to 6/14 Heroic SoO now. We have become a more cohesive raid team, aware of our strategy, confident in our play, and calm in our execution. Kudos to you all for sticking with us! 6/4/14 Heroic Sha of Pride Humbled! 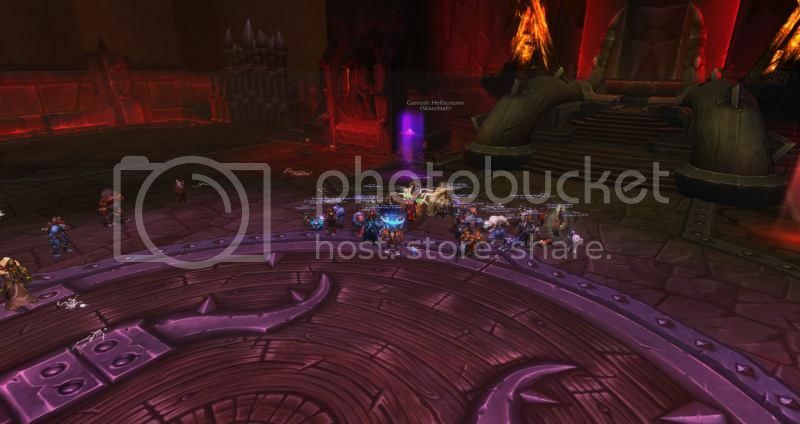 We are now currently 5/14 heroic SoO. Despite our late start with raiding heroics, we are moving on up in the world, on 2 nights of 3 hours of raiding each night, per week. Dragons are crunchy and taste good with ketchup. Congratulations on downing Heroic Fallen Protectors! Our raid team is getting more coordinated everyday. With our increased success, the interest in our raids is also increasing. Let's keep getting heroic modes down! Congratulations on downing Heroic Immerseus! We're gradually making progress through heroics with our ragtag crew, while enjoying each other's company. Congratulations on downing Heroic Norushen! It's nice to see people still interested in raiding sociallly and taking down new challenges, this late in the expansion. Thanks to the efforts of our hardworking and dedicated guild members, we put an end to the tyranny of Garrosh Hellscream on 25 man mode tonight. Though raiding this tier was not easy, our teamwork and cooperation paid off, and we have reached the pinnacle of normal mode success. Truly the whole is greater than the sum of the parts!